We went from -40 weather to 0 degrees in a matter of days.. (I'm talking Celsius here people) It is amazing how balmy the weather feels sitting right around the freezing mark once you've experienced a few days where going outside feels like some kind of cruel torture.. This winter has been such a nice change from last year when we were digging ourselves out of our houses. Then we climbed through multiple feet of snow to get to our cars while we prayed the plows had already been out so we could actually drive somewhere! Phew.. This year we've barely had enough snow to even cover the ground! The boys and I took advantage of our warm winter day and went for a walk while Sienna was at school. These are beautiful! And I'm loving this not so wintry weather, as well! So perfect for walks that don't give you frost bite and clear roads and no ice scraping. I just hope it continues until spring! Loved what you captured here, and there is still life on that tree!!! Precious post. We are freezing here in Minnesota too! love these images! we've been having a very similar winter. freezing cold and then the in 50's. 5 inches of snow and then it's gone the next morning. so bizarre! -40? wow! The coldest I've ever experienced was 2 degrees (Celcius) and I was DYING! Here it's around 10 degrees celcius on a normal cold winter's day so I can't even start to imagine how cold 0 degrees is. I love your photos. The colours are just beautiful. 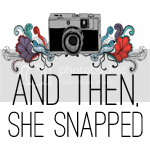 just comin over from we are the holden's ... and love your blog ... and your images are stunning ... so clear and simple! i really wish we had glistening winters. oh wow ... love that tree image!